Daniel has supported and worked with met-Track coaches at the Ealing Borough scheme for some time now, and has made priceless contributions toward the lives of many local young people as a result. 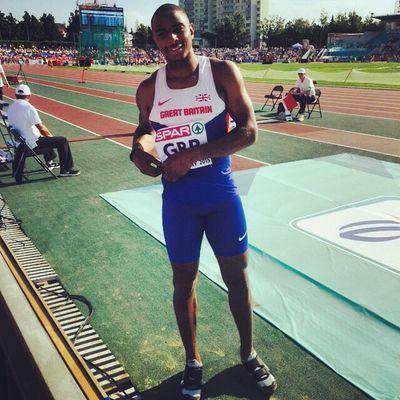 In parallel, Daniel has been developing his own athletic talents, which have culminated in selection for the Senior Great Britain team at the European team championships. Also Dan achieved the Olympic A standard at a competition in Florida in the early part of the 2015 season, so Dan now has his sights firmly set on Rio 2016. Daniel has was previously an assistant coach at the Ealing scheme, but is now the lead coach based at the Perivale session. He hopes to pass on his experience as both athlete and coach to young Londoners on a wider scale. He is a hugely valuable asset to the project looking towards the future.